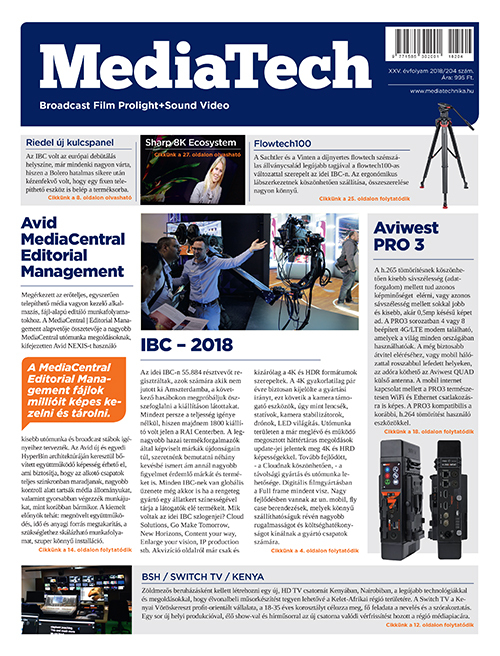 ARRI Stellar promises to redefine the professional lighting control arena by moving from hardware to an intuitive, easy to use and graphically realistic app. Gone are the days of complicated DMX protocols, hardware control interfaces and programming. 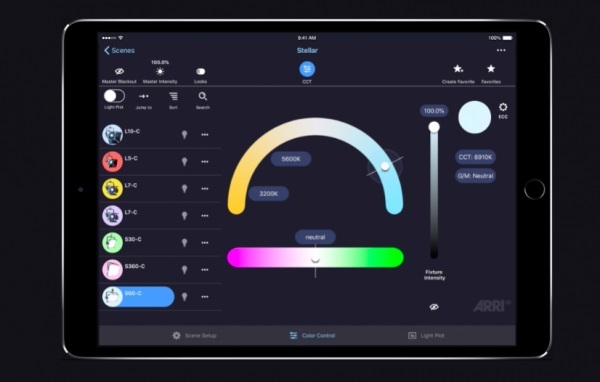 ARRI Stellar is a free iOS and Android application that connects to Skylink or a wireless network, automatically recognising light fixtures and adding them to a roster, ready for control. It will allow lighting directors and productions near-complete wireless control of the hue, saturation, brightness and any effects available. The initial lighting setup can be set up,positioned, and each fixture connected via 5-pin DMX. The simplest ‘network’ being made by taking an ethernet connection out of the controller device (tablet), and connecting directly to a Skypanel which will then generate the lighting array in the app. Another method is using the ARRI Skylink network, with the receiver connected to one lighting fixture at the beginning of the DMX cable chain. 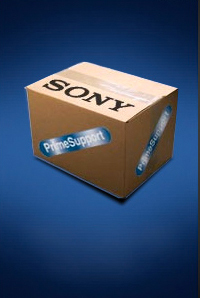 The following fixtures are then automatically added to the setup, and can be controlled through Stellar immediately. The Stellar interface offers seven colour switching modes; CCT for traditional control of white balance, tint and saturation. The HSI, RGBW and XY Coord modes offer a colour picker that can be dropped anywhere onto the colour space. Gel mode has a range of presets that can be customized, which is particularly handy when matching scenes with alternative lighting fixtures. Source mode mimics the output of other lighting fixtures, such as a HMI or mercury vapor bulb. Last up is the effects mode, which contains many pre-programmed lighting effects from fireworks to TV screens. All of the modes can be adjusted to suit the composition and illumination of the scene. ARRI L-Series lights can now accept over 300 gels through the Stellar app too, which was previously not available due to hardware limitations. 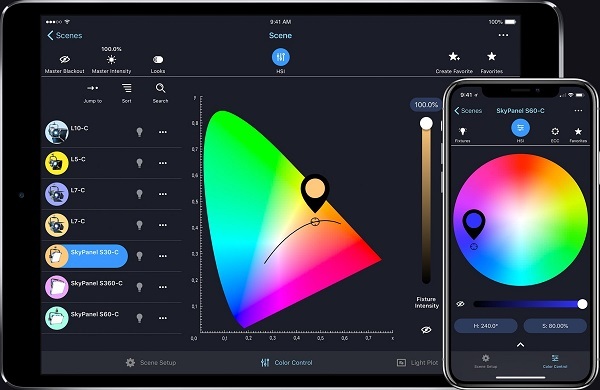 As well as completely customizing the output of ARRI Skypanels and L-Series fixtures, lighting designers can use Light Plot in the app to place lights in a 2D lighting rig. When using ARRI Stellar, there now is no need for any drawings or light plot diagrams, as this can all be handled inside the app. Once all of the fixtures in a scene have been set, the settings can be saved into user presets, favourites and looks for fast access and changeover – further reducing the time in between shots or takes. The ARRI Stellar app is available now and free to download for iOS and Android devices. Now, instead of upgrading expensive DMX based hardware installations, complete control can take place inside one app.